The earliest origins of Gnosticism are obscure and still disputed. The proto-orthodox Christian groups called Gnostics a heresy of Christianity,[note 13] but according to the modern scholars the theology's origin is closely related to Jewish sectarian milieus and early Christian sects. 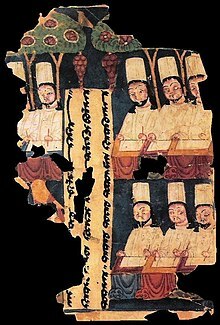 [note 14] Scholars debate Gnosticism's origins as having roots in Neoplatonism and Buddhism, due to similarities in beliefs, but ultimately, its origins are currently unknown. As Christianity developed and became more popular, so did Gnosticism, with both proto-orthodox Christian and Gnostic Christian groups often existing in the same places. The Gnostic belief was widespread within Christianity until the proto-orthodox Christian communities expelled the group in the second and third centuries (C.E.). Gnosticism became the first group to be declared heretical. [Some] early Christians understood the pre-incarnate Christ, ontologically, as an angel. This "true" angel Christology took many forms and may have appeared as early as the late First Century, if indeed this is the view opposed in the early chapters of the Epistle to the Hebrews. The Elchasaites, or at least Christians influenced by them, paired the male Christ with the female Holy Spirit, envisioning both as two gigantic angels. Some Valentinian Gnostics supposed that Christ took on an angelic nature and that he might be the Saviour of angels. The author of the Testament of Solomon held Christ to be a particularly effective "thwarting" angel in the exorcism of demons. The author of De Centesima and Epiphanius’ "Ebionites" held Christ to have been the highest and most important of the first created archangels, a view similar in many respects to Hermas’ equation of Christ with Michael. Finally, a possible exegetical tradition behind the Ascension of Isaiah and attested by Origen's Hebrew master, may witness to yet another angel Christology, as well as an angel Pneumatology. Pleroma (Greek πλήρωμα, "fullness") refers to the totality of God's powers. The heavenly pleroma is the center of divine life, a region of light "above" (the term is not to be understood spatially) our world, occupied by spiritual beings such as aeons (eternal beings) and sometimes archons. Jesus is interpreted as an intermediary aeon who was sent from the pleroma, with whose aid humanity can recover the lost knowledge of the divine origins of humanity. The term is thus a central element of Gnostic cosmology. Pleroma is also used in the general Greek language, and is used by the Greek Orthodox church in this general form, since the word appears in the Epistle to the Colossians. Proponents of the view that Paul was actually a gnostic, such as Elaine Pagels, view the reference in Colossians as a term that has to be interpreted in a gnostic sense. Tertullian calls Paul "the apostle of the heretics", because Paul's writings were attractive to gnostics, and interpreted in a gnostic way, while Jewish Christians found him to stray from the Jewish roots of Christianity. In I Corinthians Paul refers to some church members as "having knowledge" (Greek: τὸν ἔχοντα γνῶσιν, ton echonta gnosin). James Dunn claims that in some cases, Paul affirmed views that were closer to gnosticism than to proto-orthodox Christianity. Hans Jonas discerned two main currents of Gnosticism, namely Syrian-Egyptian, and Persian, which includes Manicheanism and Mandaeanism. 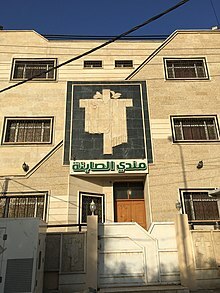 Among the Syrian-Egyptian schools and the movements they spawned are a typically more Monist view. 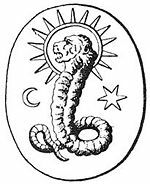 Persian Gnosticism possesses more dualist tendencies, reflecting a strong influence from the beliefs of the Persian Zurvanist Zoroastrians. Those of the medieval Cathars, Bogomils, and Carpocratians seem to include elements of both categories.